The Ocun Strike LU is a comfortable shoe suited for day long routes. It features a slightly asymmetric last to provide precision, while everything else about the shoe is optimized for comfort, including a straight profile, relaxed heel rand, and a padded tongue. 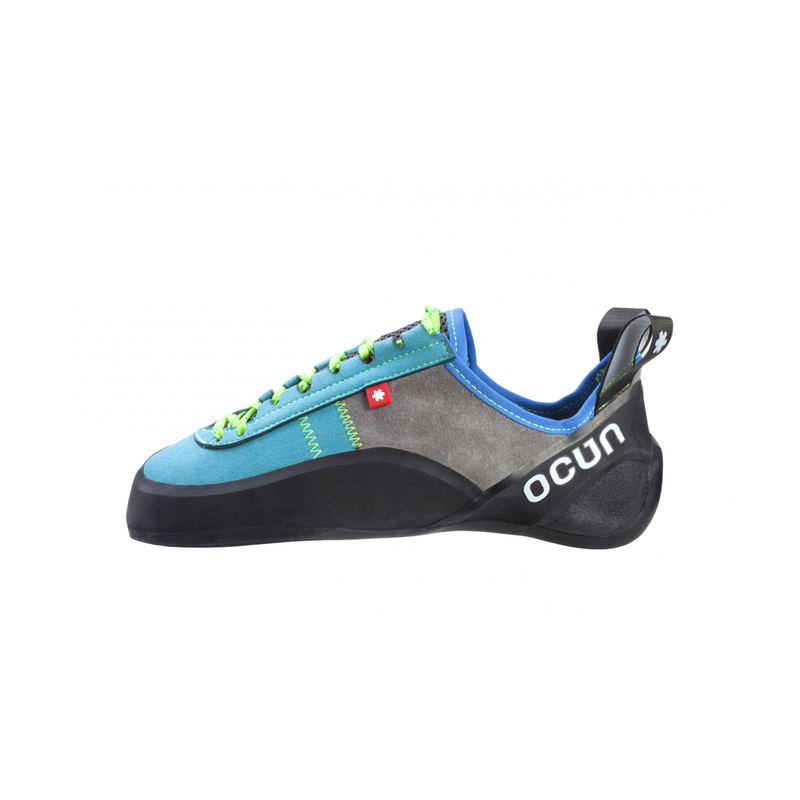 This is a great shoe to suit all-day sport climbing and harder multi-pitch ascents. The medium-stiffness and firmer CAT Rubber 1.1 will provide support on edges and a high level of durability. With a synthetic upper, expect the Strike LU to stretch very little. This shoe is 100% Vegan. 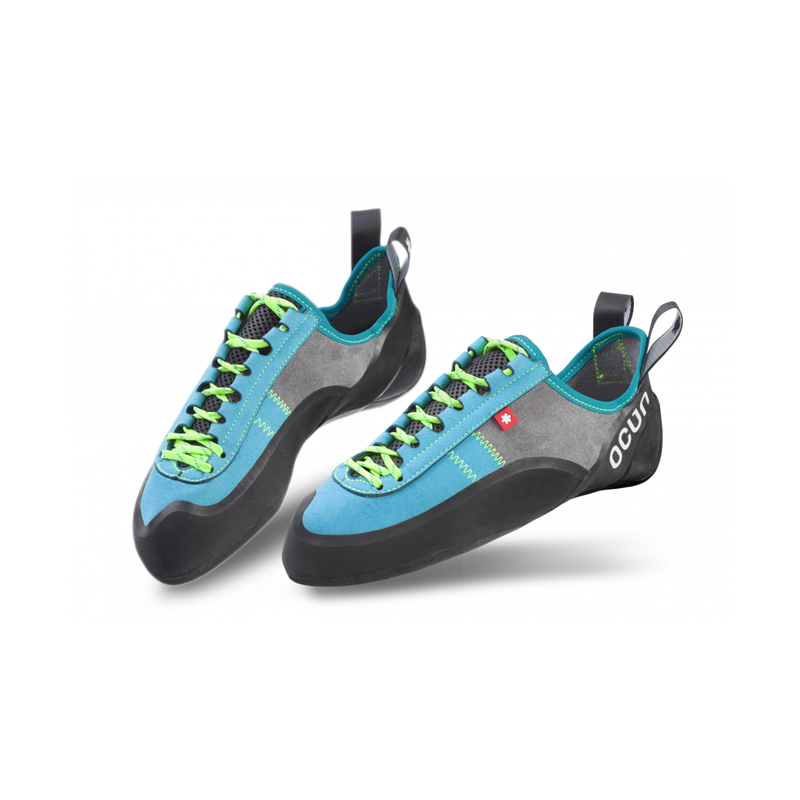 Great for in- and outdoor sportclimbing. Very comfortable and the rubber performs well. Good, stiff shoe that is comfortable to wear, but also performs. The front of sole feels a bit blocky, but it wears down. Appreciated the second pair of laces that came with.